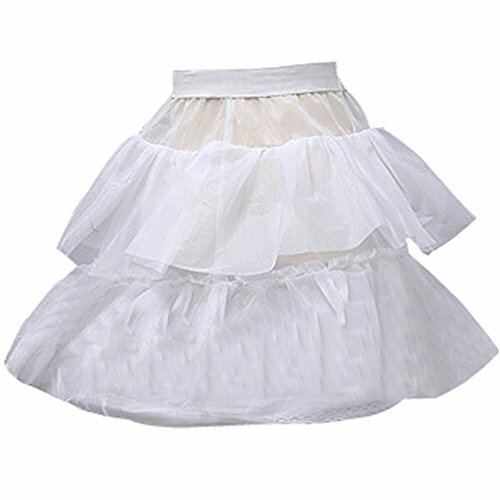 Castle Fairy Baby's 2 Layer Ruffles Wedding Flower Girl Petticoat Crinoline (one size) by Musebridal at SCRHI. MPN: 43225-6532. Hurry! Limited time offer. Offer valid only while supplies last. Features:waist area use elastic band,there is a hoop in the bottom,diameter about 41cm. Occasion:wedding,show,prom,evening,birthday,dance,cocktail party,ceremony,graduation and other special occasions. If you have any questions about this product by Musebridal, contact us by completing and submitting the form below. If you are looking for a specif part number, please include it with your message.